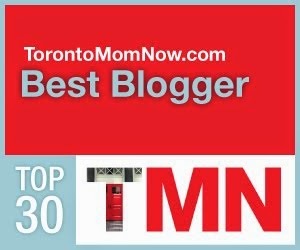 (Toronto, Ontario – August 25, 2014) Something BIG is coming...! 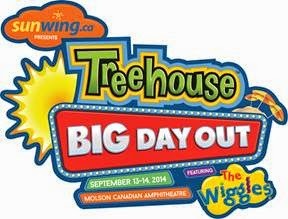 Kids and parents are in store for BIG fun at the first annual Treehouse Big Day Out, a two-day festival presented by Sunwing.ca, starring the top names in family entertainment. 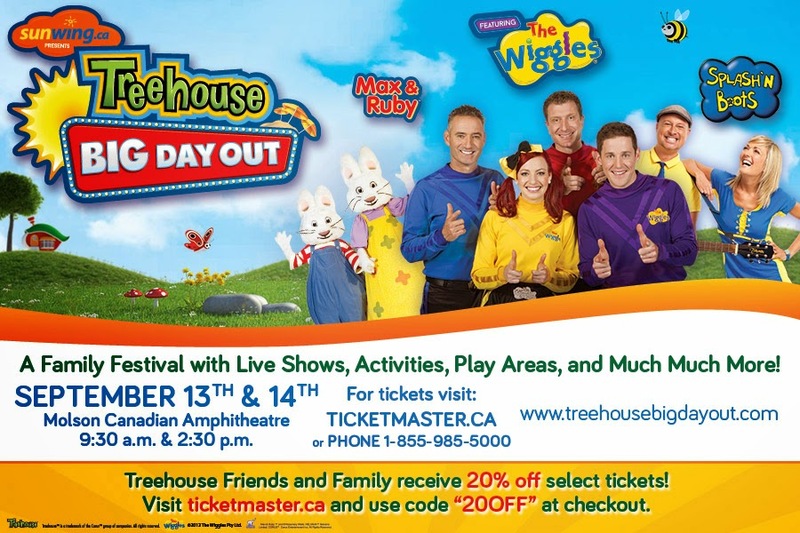 Hosted by Treehouse, Canada’s #1 specialty channel for preschoolers, the weekend-long event is jam-packed with exciting activities for kids of all ages and will be headlined by The Wiggles – the number one children’s entertainment group – and will showcase performances by fan favourites Max & Ruby and award-winning Canadian children’s music duo, Splash’N Boots. Taking place at the Molson Canadian Amphitheatre in Toronto on September 13 and 14, 2014, Treehouse Big Day Out will offer two separate ticketed events each day – a morning show from9:30 a.m. to 12:00 p.m. and an afternoon show from 2:30 p.m. to 5:00 p.m. 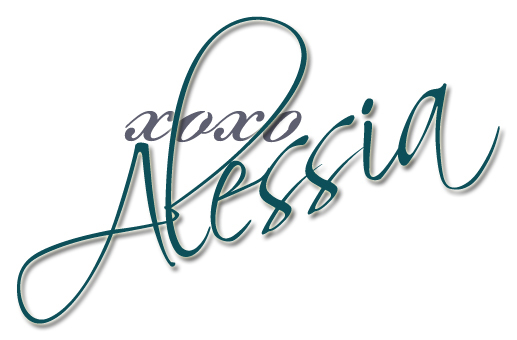 This special event also will be televised on Treehouse on Saturday, October 4, at 5:00 p.m. ET. “We are so excited for The Treehouse Big Day Out Festival,” said Yellow Wiggle, Emma Watkins. “We can’t wait to get to Toronto to see all of our wiggly fans,” added Blue Wiggle, Anthony Field. “Get ready everyone! We are going to have so much fun performing our classic songs such as ‘Hot Potato’ and ‘Rock-a-Bye Your Bear,’ as well as the new hits, ‘Do the Propeller!’ and ‘Emma ( with the bow in her hair),” added Red Wiggle, Simon Pryce. “What a wonderful time we will have with all of our Canadian friends! We also can’t wait to see the mini Emma army - pint sized girls dressed in yellow with bows in their hair,” said Purple Wiggle, Lachlan “Lachy” Gillespie. All attending kids will also receive a 60-page festival program full of activities and colouring pages for even more BIG fun at home! Disclosure: I did not receive any compensation for this post, but was offered a discount code for our readers. All Sunwing Vacations packages include “Sunwing Airlines’ Champagne Service,” which features a complimentary glass of champagne, hot towel service, Hot & Fresh Bistro meals™ served with a choice of wine at lunch and dinner, and complimentary in-flight entertainment, including first-run movies and a generous 20 kg free baggage allowance. For just $40 more per flight segment, travellers can upgrade to Sunwing’s Elite Plus service, which features advance seat selection, separate check-in at a majority of airports, advance boarding, 30 kg baggage allowance, priority baggage handling, and extra legroom seats. Treehouse is the #1 preschool channel in Canada. 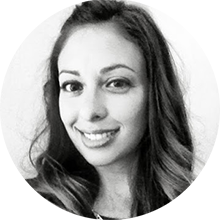 The commercial-free channel offers fun and imaginative programming for preschoolers and their parents. Delivering a strong balance of entertaining, parent-trusted properties, Treehouse delivers high-quality children's programming from Canada and around the world. Parents and kids can access Treehouse properties online as well as On Demand and On Mobile TV. Treehouse is owned by Corus Entertainment Inc., a Canadian-based media and entertainment company.